Today I went out in the yard and looked around. I found this wonderful lilac bush. Isn’t she pretty. 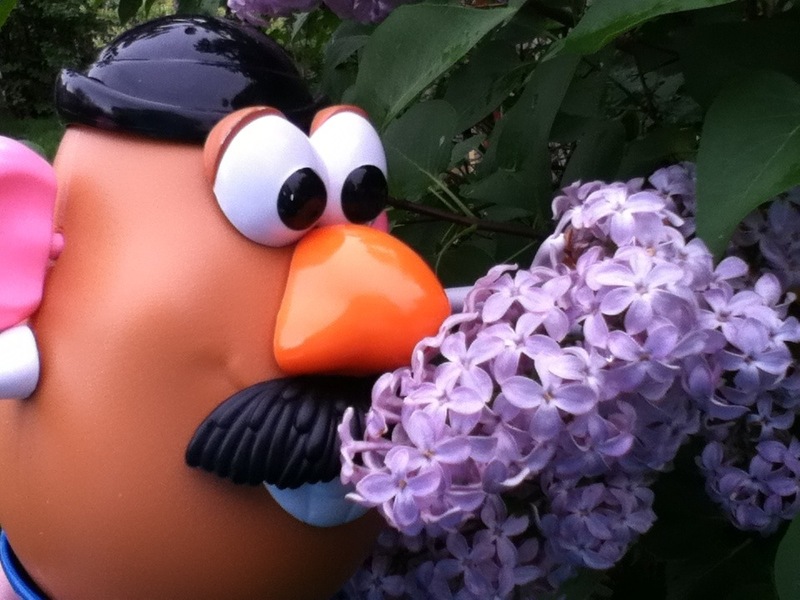 This entry was tagged 365, blog, fun, kid friendly, laugh, lilac bush, Mr. Potato Head, muse, picture a day. Bookmark the permalink. Congratulations, Ohiophotogrl, on getting an A in Geology. Glad your enjoying Mr Ps adventures. He is my muse!